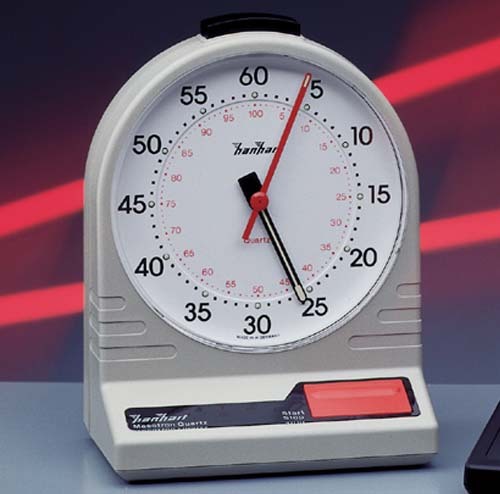 The Hanhart T-500 Mesotron clock timer has been popular for years. It features and easy to read analog display and a large start / stop button. Measuring range 0-60 sec., 0-60 min.